In Germany the recycling system grew over the years and decades – and people grew with it. 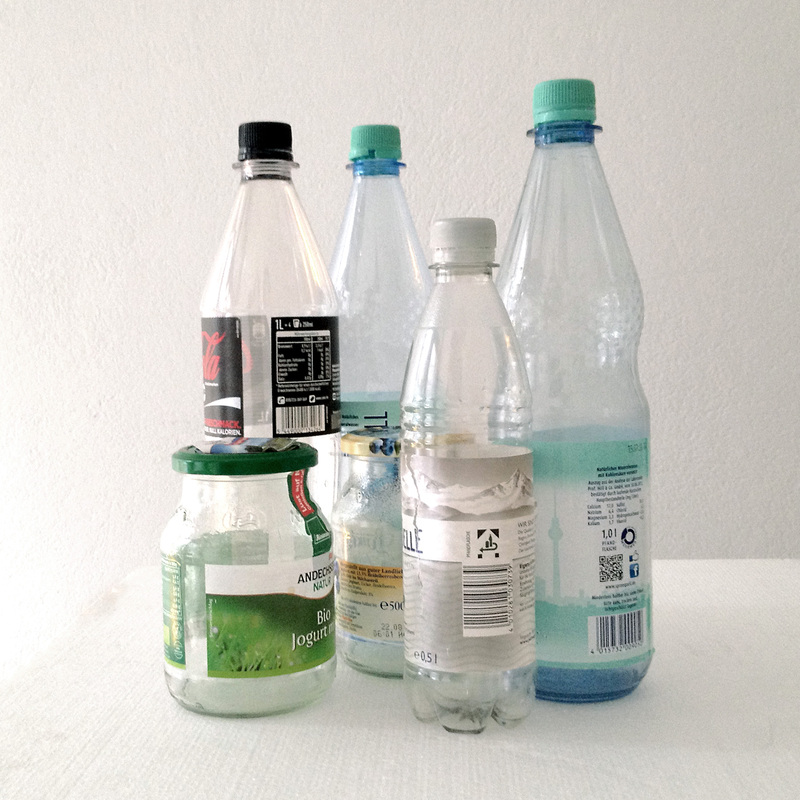 Some details and aspects may not be so obvious to understand for people that are confronted with the German recycling system for the first time. But basically I suppose it’s not that difficult to understand the underlying logic. Yes, there is some logic hidden behind it. 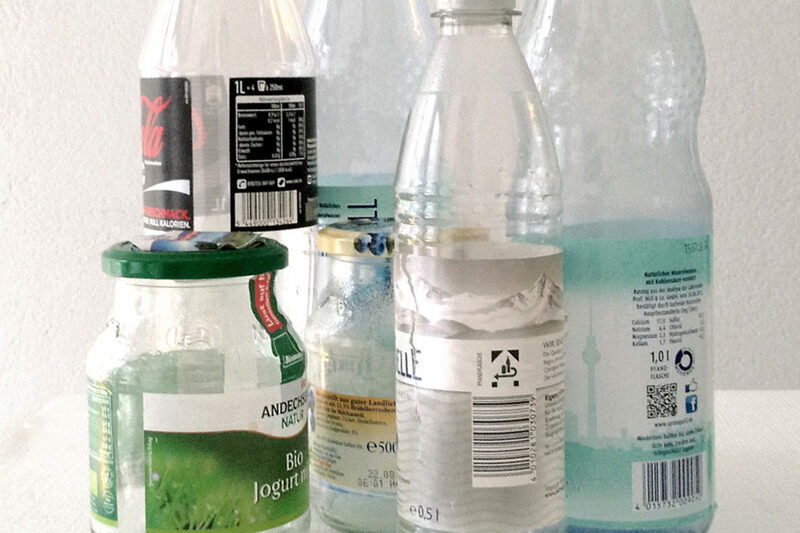 Once you know the rules and exceptions, you’ll probably immediately see which bottle is a returnable bottle – and which one is supposed to go in the recycling bin. Basically the rules go like this: all bottles must be recycled. For some bottles you’ll have to pay a small deposit which you will get back once you return the bottle to the shop. But which ones are returnable bottles? Rule of thumb number one: bottles containing beverages with bubbles are returnable bottles. Bottles containing beverages without bubbles are non-returnable bottles. So beer bottles are returnable bottles, but wine bottles are not. Exceptions to his rule of thumb: sparkling wine bottles and champagne bottles are never returnable bottles – because they count as wine bottles. Exception number two: water bottles are always returnable – with or without gas (bubbles). Now that you know the basic rules, let’s go a bit more into detail. In Germany we have actually two different kinds of returnable plastic bottles: the ones that are refilled and the ones that are crushed. Both must have some kind of mark on the bottle or on the label: “Mehrwegflasche” or “Pfandflasche” are the more popular ones. The ones that are crushed have this additional label with two black triangles / black corners, featuring the silhouette of a bottle and a can, underlined by an arrow – as you can see on the small water bottle in the picture. How much deposit do you have to pay / get back? For returnable bottles made of glass you’ll mostly pay (and receive) a deposit of 8 cents per bottle. For returnable bottles made of plastic (PET) you’ll mostly pay (and receive) a deposit of 15 cents per bottle. In practice some Kiosks pay a deposit of 10 cents for a single bottle because they are tired of counting the cents. You can always bring your returnable bottles to the next shop or Kiosk. But leaving empty bottles next to a public trash bin is also totally fine. There are actually quite many people collecting empty bottles. Sooner or later you will see somebody ‘digging in the dirt’ for returnable bottles – one arm deep in the trash bin to fetch that one precious bottle somebody misplaced. You may wonder if it’s really worth the effort? So it seems. After all: collecting 100 returnable bottles may be worth anything between 8 Euros and 15 Euros. And for some people that can mean a meal and/or a bed for the night. Some yogurt bottles or yogurt glasses are returnable too. If you bought a yogurt in a 500gr glass chances are, you can easily deposit it in one of the machines at the local supermarket. Pingback: 6 Tips for a cool reusable water bottle – GreenBuzz Berlin e.V.